The Zing shower valve has a beautiful and new age modern design. Brass construction provides superior durability and conforms to BS EN 248 standards. 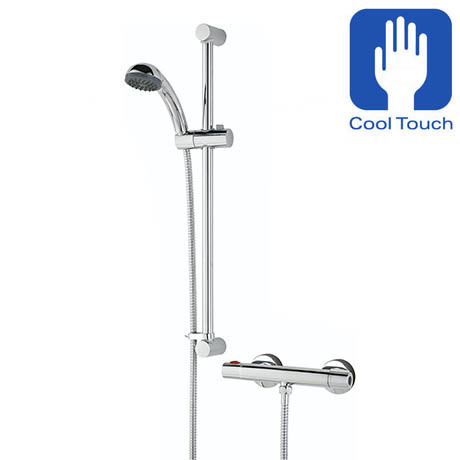 The Unique Cool Chrome technology ensures the bar valve stays cool to the touch while in use. An adjustable riser with hose and a single function handset is included which features rub clean nozzles. This stylish shower valve and kit will add a contemporary look to any bathroom. Supplied with fast fit connections.